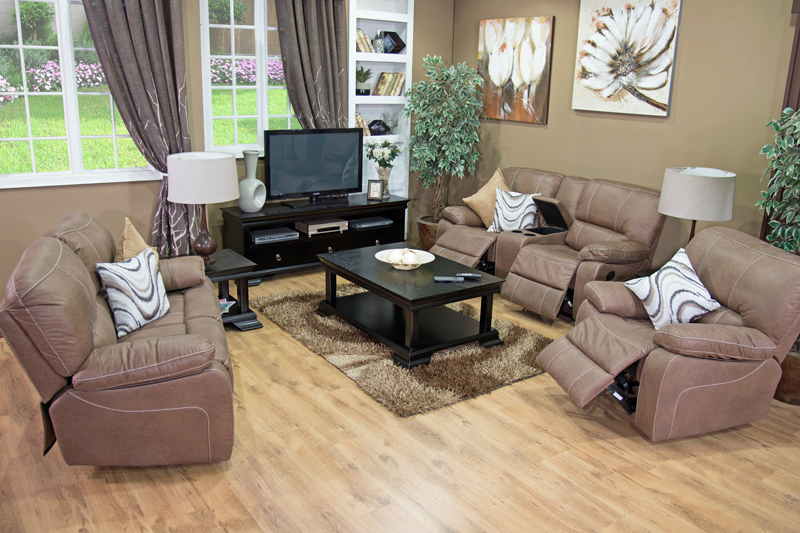 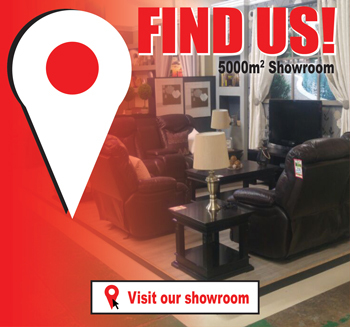 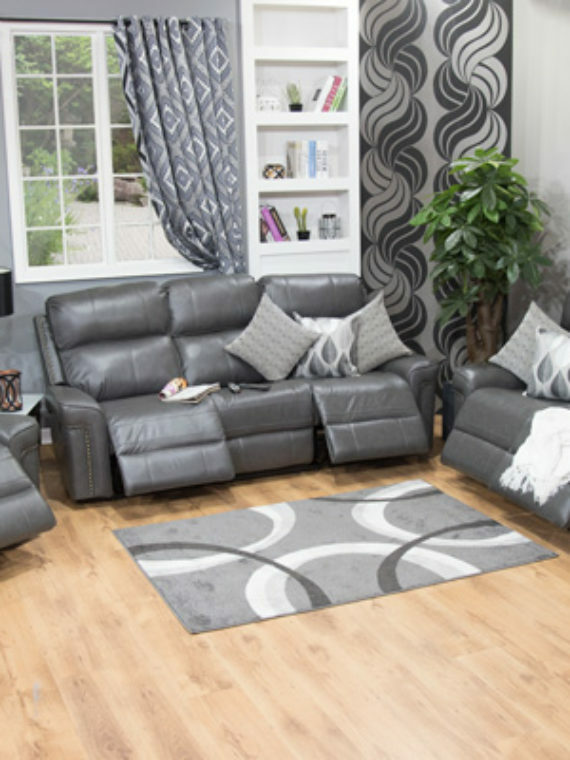 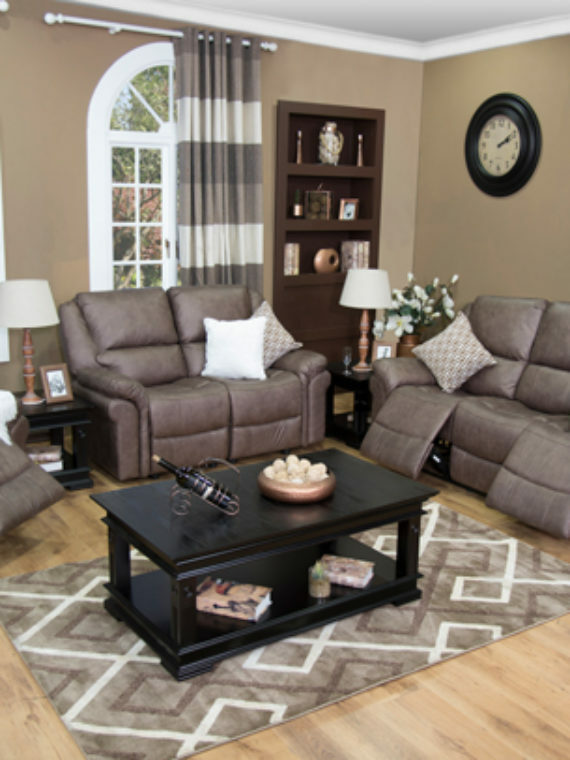 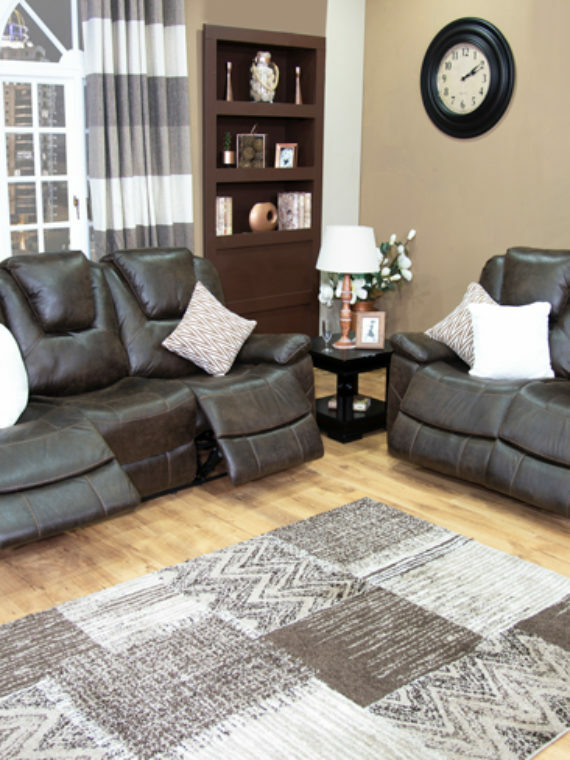 The Stuart Recliner Lounge Suite is offered in a beautiful tan buffalo suede , very thick and durable, excellent for every day use. 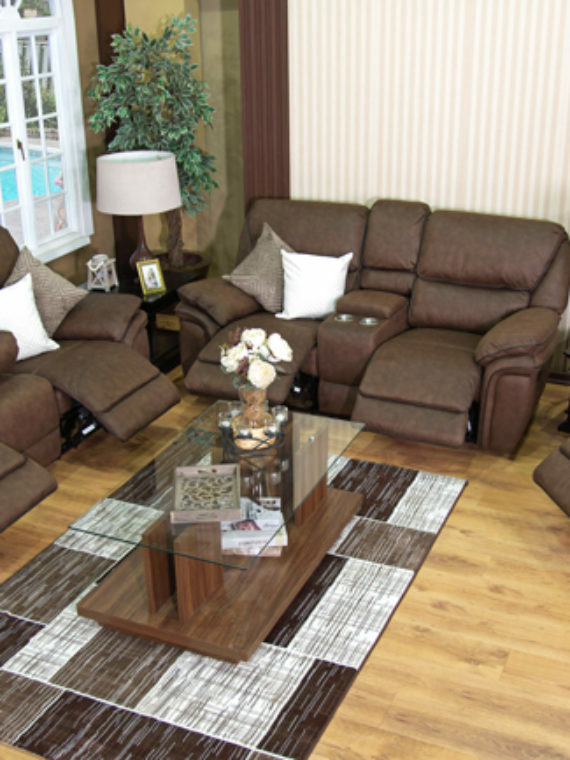 This style offers a pub high back design which will provide full head support, with a plush pocket coils seating. 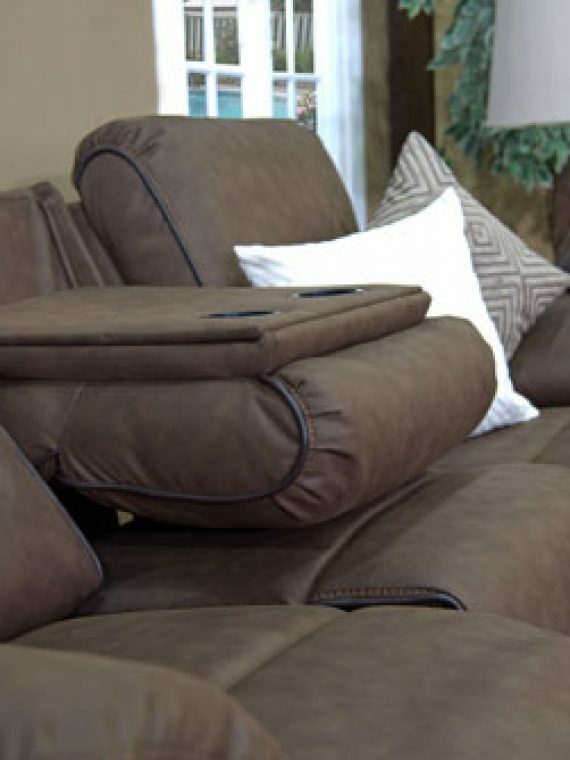 The seats are filled with individual pocketed coils and is topped with high density foam for the ultimate relaxing area in your home. 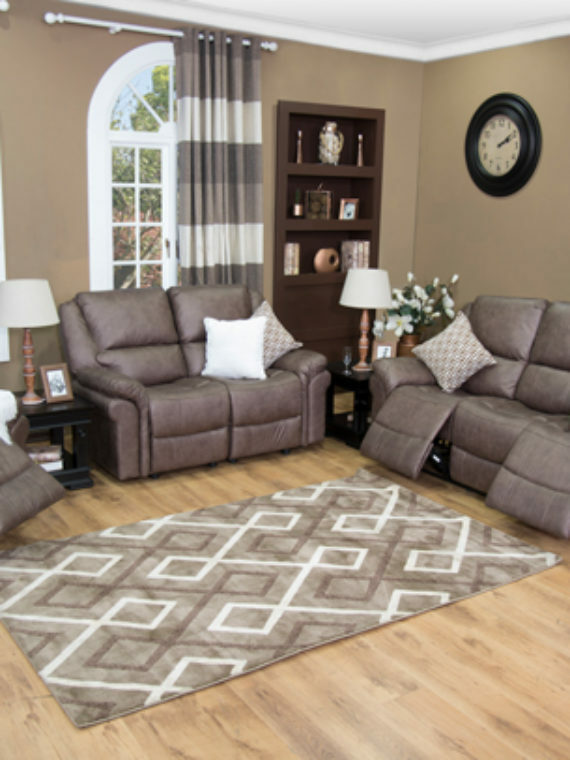 Plush cushions for superior comfort. 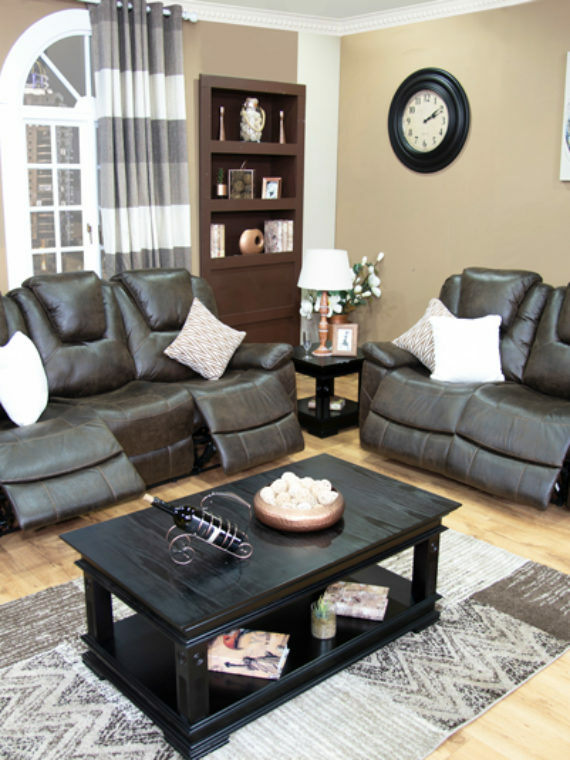 3 Motion recliner seats with center 2-drink holder console.